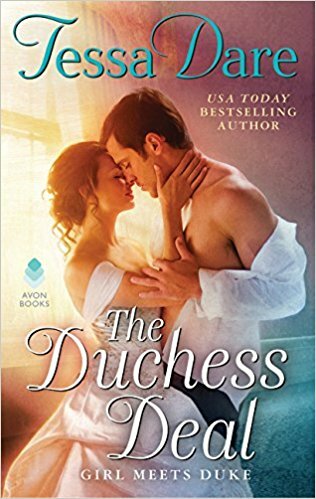 And the last title in our month of romance-themed Book Giveaways is Tessa Dare's The Duchess Deal, the first installment in her 'Girl Meets Duke' series. (I fully approve of that series title, by the way. Evocative!) A full review will follow shortly, but already I feel confident saying that this will appeal to fans of Julia Quinn and Suzanne Enoch.